Weed has to be one of the most disproportionately maligned plants of all time. All the thousands of headlines and millions of words for and against — over a crop that takes up a truly negligible amount of farmland. For example, Uruguay surmises that it can grow nearly all of its country’s annual herb supplies on just 25 acres of land — arguably the the most controversial 25 acres of all time. The small South American country made history when its President Jose Mujica — a physician and former rebel leader — spearheaded the national legalization of pot. 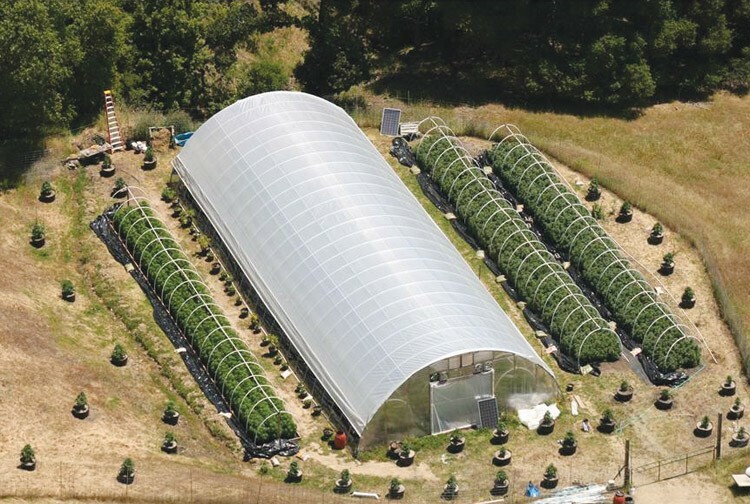 A "large" pot farm (above) is nothing compared to a "small" corn or soybean farm. Uruguayans can grow a small amount of weed alone or in collectives, but commercial sales will be strictly state-run. The roll-out of the Uruguay’s pot shops is delayed until 2015, Mujica said this week, as the country is trying to get the program right. Uruguay needs about 18-22 tons of pot a year, officials there say. Commercial crops will be grown by the state, which estimates they need just 25 acres. By comparison, RAND estimates the the United States’ annual supply of pot could be grown on 4,400 acres of cropland. The US has 300 million acres of harvested cropland each year, so weed would take up .0015 percent of the harvested acreage. If we had a proportionate conversation about the perils of corn cultivation or soybeans — there’d be no time left over to talk pot.